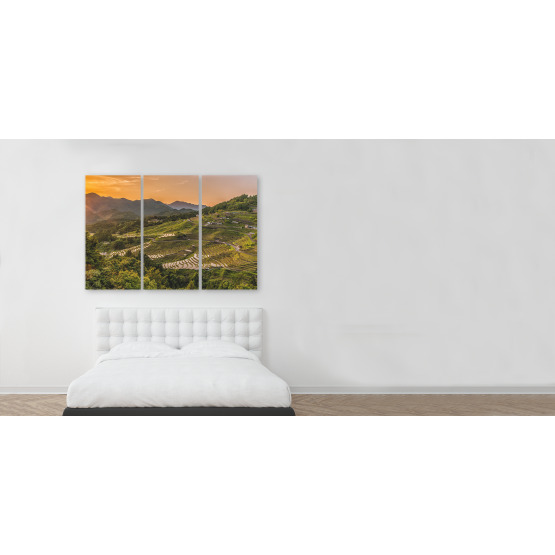 3 Panel Split Canvas - 24" x 16"
Create a 24 x 16 inch (61.09 x 40.77 cm) single image 3 panel triptych canvas print with our easy to use web based designer. This canvas print is made by hand and can be produced in colour, black and white, sepia or blue tone. If you choose the pro colour correction option, we will carefully adjust your image for density and colour balance to ensure it looks absolutely perfect. The edges of the canvas prints can printed in a colour of your choice. The default is black. Choose from 3 different frame depths - Premium 25mm, Deluxe 38mm or Gallery 55mm. The surface of the canvas print can be finished with Gloss or Satin varnish. This has the benefit of UV, dust and scratch protection. 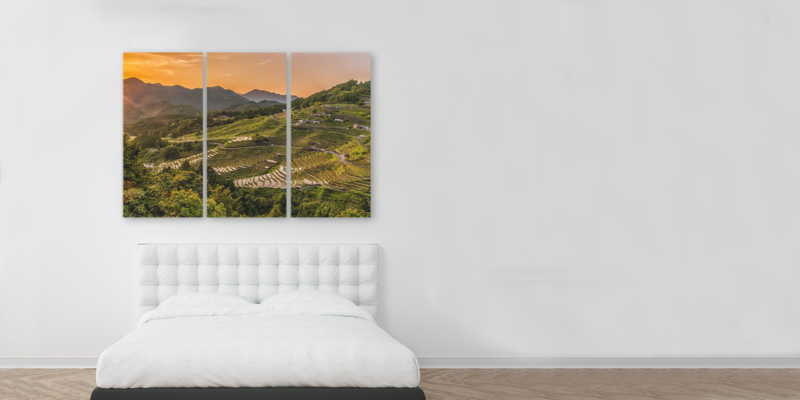 Select your preferred options and click Continue to head to the designer page to create your canvas print.